Using the word trend begets a slippery slope. The word implies newness, novelty, but many foods on this list are far from new. Take tacos, for example. Those tortilla-bound bundles are delicious, but in no way new, and reducing them to a trend forgets the histories and narratives that brought the taco to where it is today. A little bit of context goes a long way in a discussion like this. Bearing that in mind, here are the foods Americans might see more of in Whole Foods next year. At the top of the list sits something we’re more accustomed to ogling over than actually eating. But get ready to eat flowers. Lavender, rose and hibiscus are showing up in everything from lattes to granola to marshmallows. And Whole Foods has called out elderflower as the MVP (Most Valuable Petal). Powders, like maca, matcha, ground turmeric and cacao, seem to be gaining popularity. The forecasters cite their increasing relevance, as powders are being packed into smoothies, juices, soups, and even bars. For example, RXBar, which was recently acquired by Kellogg, uses a powdered egg-white protein. Whole Foods predicts that 2018 will be the year Middle Eastern fare will fully hit the mainstream. 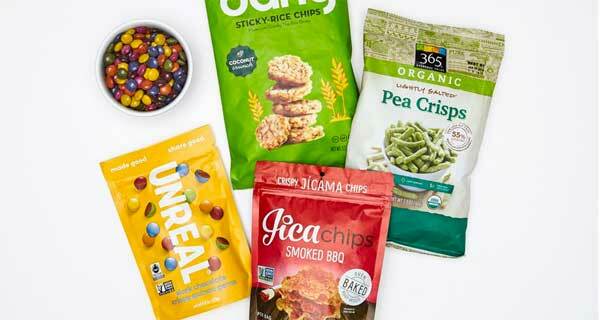 And consumers will look beyond the hummus, pita and falafel the company says were “entry points” into the category. Spices like harissa, cardamom, and za’atar, and dishes like shakshuka should start popping up more and more. At one time plant-based proteins were just for vegans and vegetarians but this trend is all about the intersections of science and plant-based eating. Neither are particularly new, but it seems we’re at an exciting junction for the two. But better technology is making products like plant-based burgers and nut milks and yogurts appealing to even the most enthusiastic meat and dairy eaters who want to cut back for animal welfare, environmental, or health reasons. Nose-to-tail, root-to-stem—call it whatever you want but cutting back on food waste is gaining traction with consumers. A growing group of food manufacturers are answering the call by using parts of plants or animals that were once considered trash—think pickled watermelon rinds.